Danish pop sensation Lukas Graham’s latest offering, ‘Blue Album’, has entered the prestigious Billboard 200 chart for top-selling albums at number three in the US – the first time a Danish artist has broken into the top five. Danish acts like Aqua and Volbeat have previously broken into the top ten. Aqua reached number seven with their debut ‘Aquarius’ in 1997, while Volbeat got to number nine with ‘Outlaw Gentlemen & Shady Ladies’ in 2013. The Billboard Top 200 takes into account both physical and digital sales and streaming. ‘Blue Album’ is a hit with fans despite decidedly lukewarm reviews from the US press. 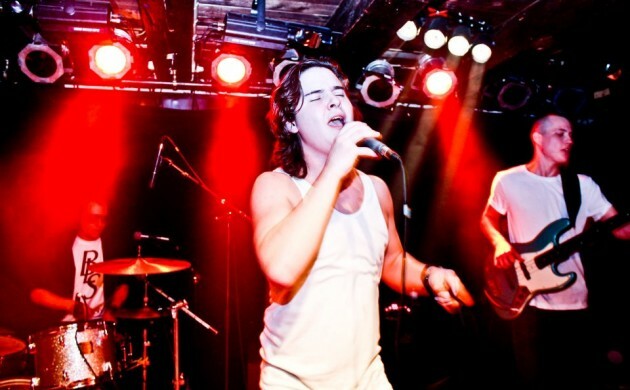 The Boston Globe called lead vocalist Lukas Graham Forchhammer’s voice “reedy” and said that the band itself could be called soulful “only if soul is defined by early Maroon 5 … they have all the trappings of the genre, except for actual soul”. Lukas Graham’s effort trails Kanye West’s ‘The Life of Pablo’, which came out in February but is only now making its mark on the list because the album only last week became widely available via streaming services. US country singer Chris Stapleton holds down the second spot. The band’s single ‘7 Years’ is at number two on the US charts and many believe that it has a chance of reaching top spot next week. In Australia, both ‘Blue Album’ and ‘7 Years’ are at number one on their respective charts, with the single at the top for the eighth straight week – a record for any Danish artist in Australia. In the UK, ‘Blue Album’ debuted at second place, another record for a Danish artist, while the single ‘7 Years’ was number one for five weeks, breaking the record for the longest period at the top by a Danish act – an honour shared by Aqua and Whigfield.